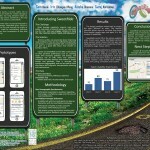 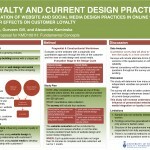 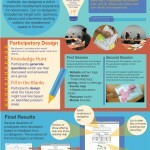 KMDI has had the privilege of hosting seven Poster Sessions so far. 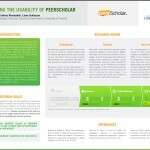 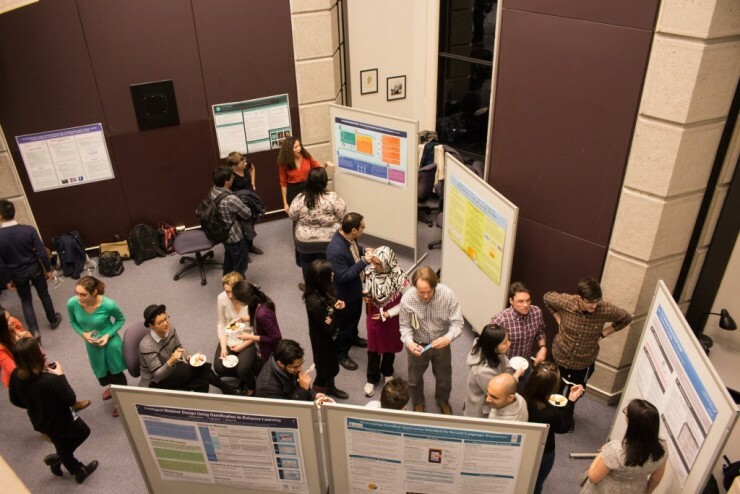 This post includes poster session submissions from Fall 2013 to Fall 2016. 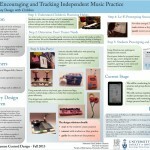 Take a look at the work of past students or revisit your own project! 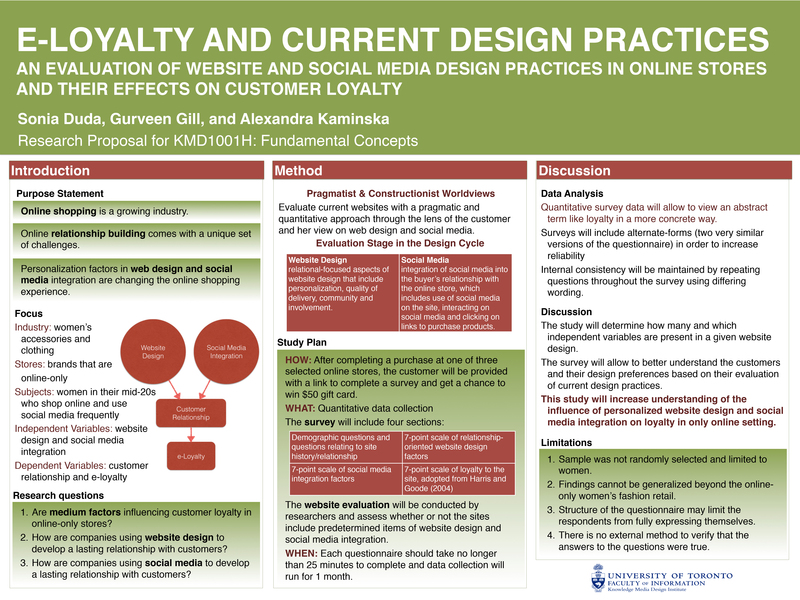 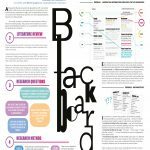 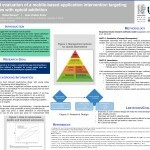 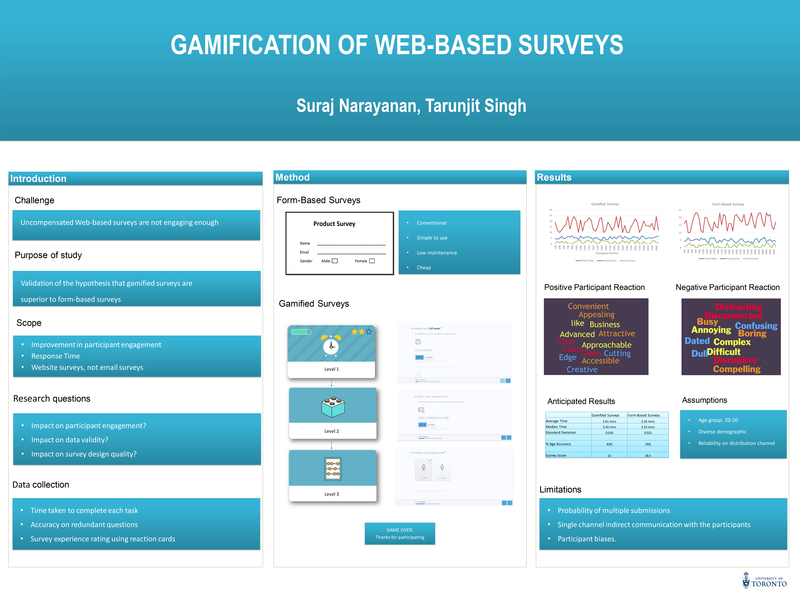 “An Evaluation On the Interface of the U of T Portal – Blackboard” by Alvin He, Suri Achyuth, Eunhye Choi, Jia Nan He (Mary). 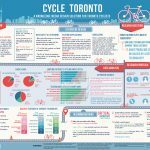 “Cycle Toronto – A Knowledge Media Design Solution for Toronto Cyclists” by Cassandra Miranda, Yun Shi, Jaisie Sin, Florian Sperber and Guiying Zhu. 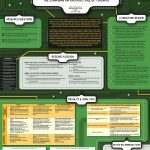 “Electric Ave. 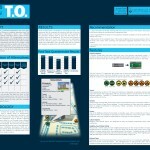 The Charging Infrastructure of Toronto” by Thais Bittencourt, Amy Quackenbush, Varsha Ravi, Patrick Smyth, Tendy Su and Simon Termine. 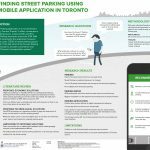 “Finding Street Parking Using Mobile Application in Toronto” by Althea Balmes, Ali Naqi, Sally Siu, Boyao Zhang and Shengnan Zhang. 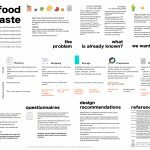 “Minimizing househould by food waste” by Shenoah Plewes, Anisa Mavani, Marian Uwadiegwu, Alison Zhan and Lin Zhang. 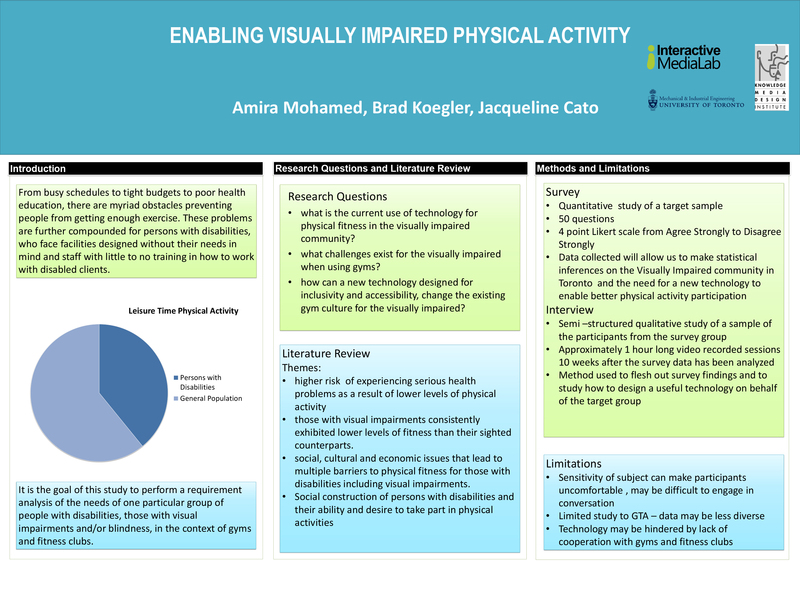 “Media Archive Accessibility” by Robyn Cameron, Aaron Campbell, Robyn Forman, Magali Lecavalier-Barsoum and Marian Tesfamichael. 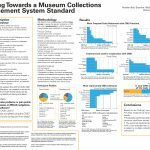 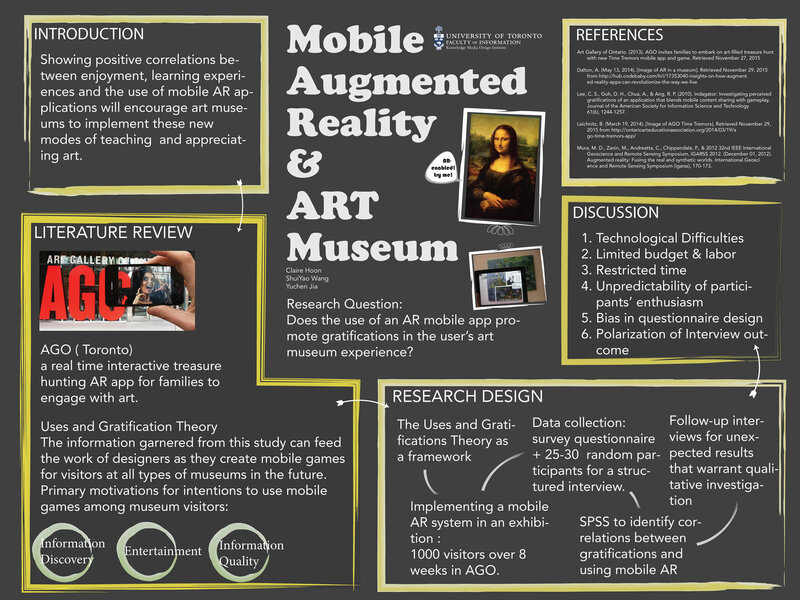 “Working Towards a Museum Collections Management System Standard” by Heather Bell, Shanlon Gilbert, Katherine Mallalieu, Brenna Pladsen and Amin Syed. 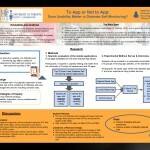 “The Use of Online Prescription Services by Seniors: Attitudes and Factors Impacting Use” by Derek Glassford, Hiba Rafih, Ken Kongkatong, Novina Wong and Sara Alnasser. 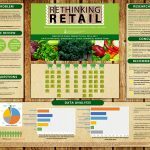 “Rethinking Retail: Modernizing the grocery-shopping experience for today’s consumer” by Kaitlin Makund, Qingxuan Li, Carla DeMarco and Hoang Tran. 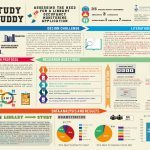 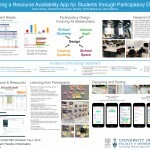 “Study Buddy: Assessing the Need For a Library Occupancy Monitoring Application” by Holly Dickinson, Michelle Johnstone, Leona De Souza, Emily Tippins and Zihang Yang. 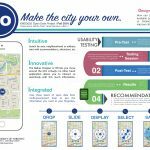 “MyTO: Make the city your own” by Teresa Avery, Bertha Chan, Tania Giannace and Allen Li. 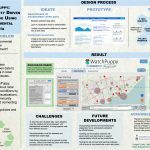 “WatchPuppy: Community Driven Watchdog Using Environmental Open Data” by Swapnil Joshi, Jake Miller, Stephanie Pegg, Eden Rusnell and Francesca Weigensberg. 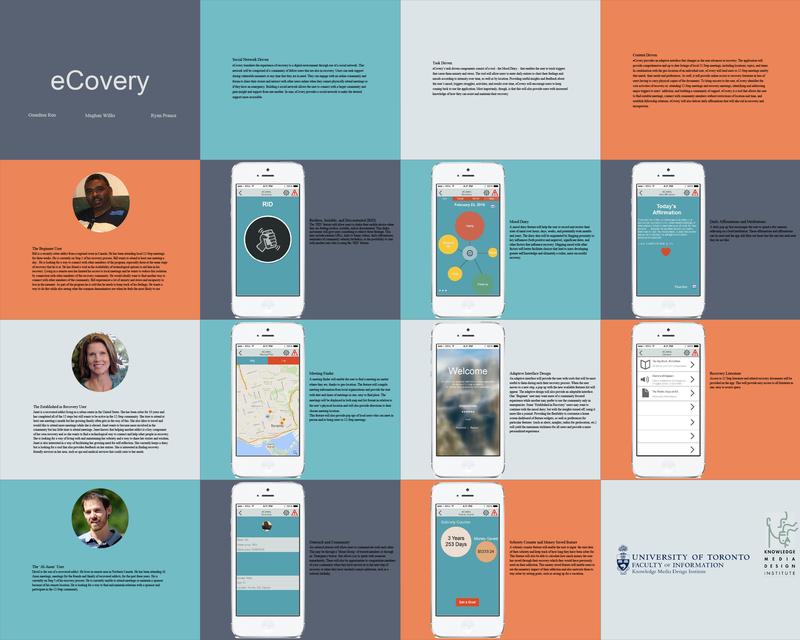 “eCovery” by Guanhua Ren, Meghan Willis and Ryan Prance. 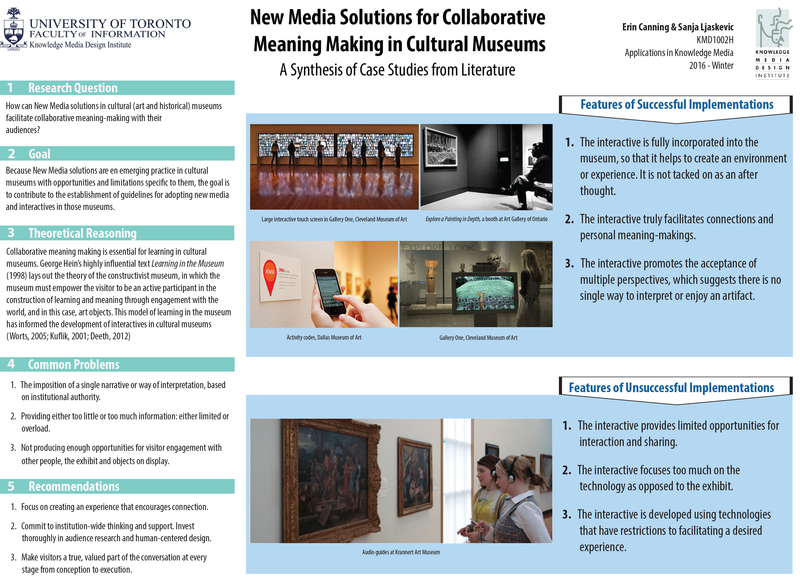 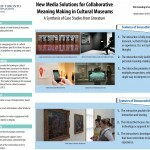 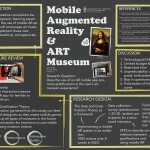 “New Media Solutions for Collaborative Meaning Making in Cultural Museums” by Erin Canning and Sanja Ljaskevic. 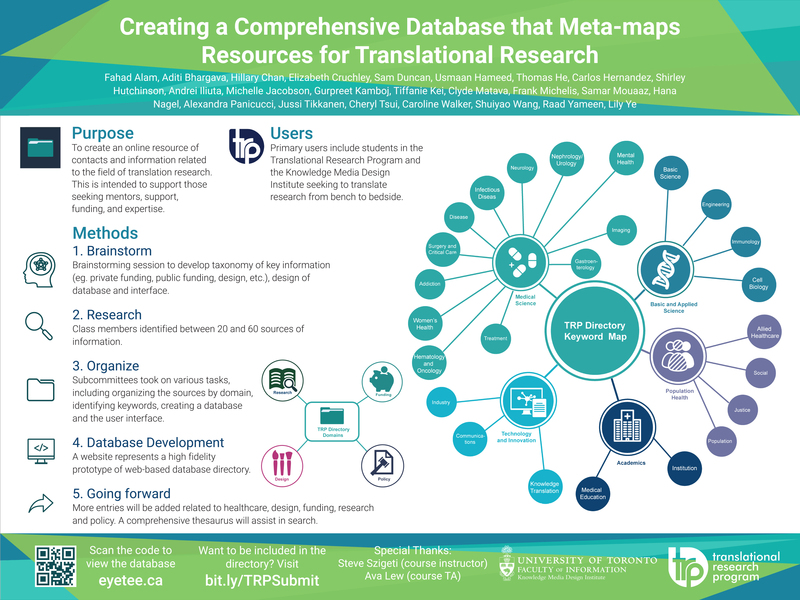 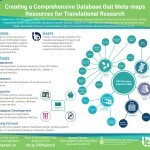 “Creating a Comprehensive Database that Meta-maps Resources for Translational Research” by TRP team of 2016 (names listed in description). 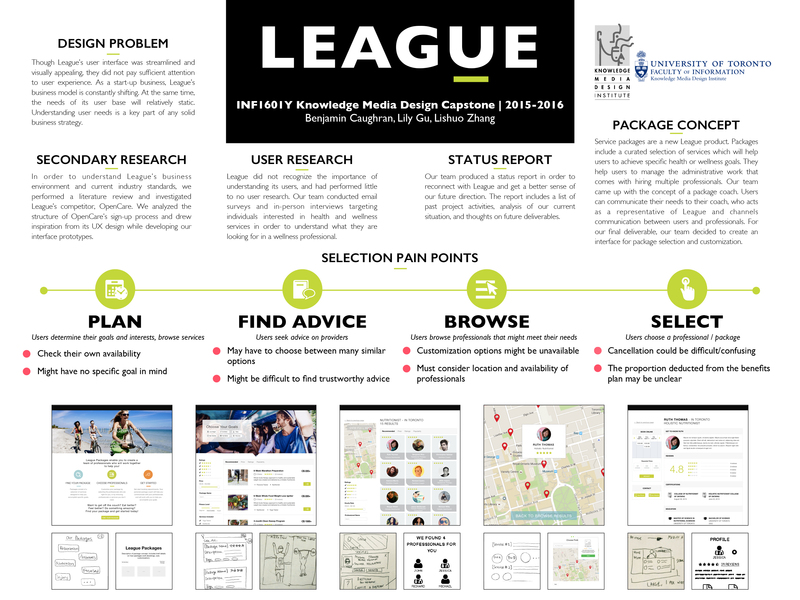 “LEAGUE” by Benjamin Caughran, Lily Gu and Lishuo Zhang. 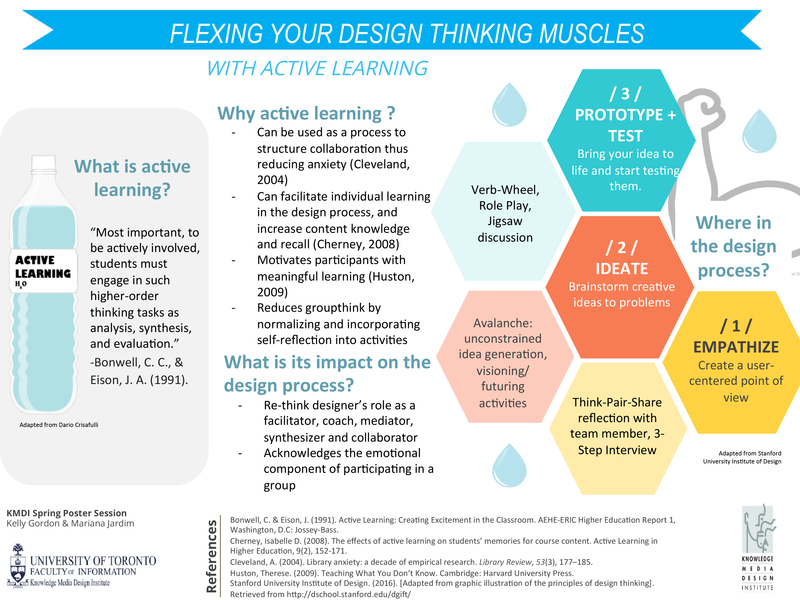 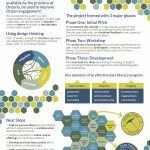 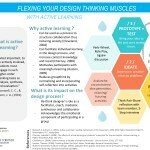 “Flexing Your Design Thinking Muscles With Active Learning” by Kelly Gordon and Mariana Jardim. 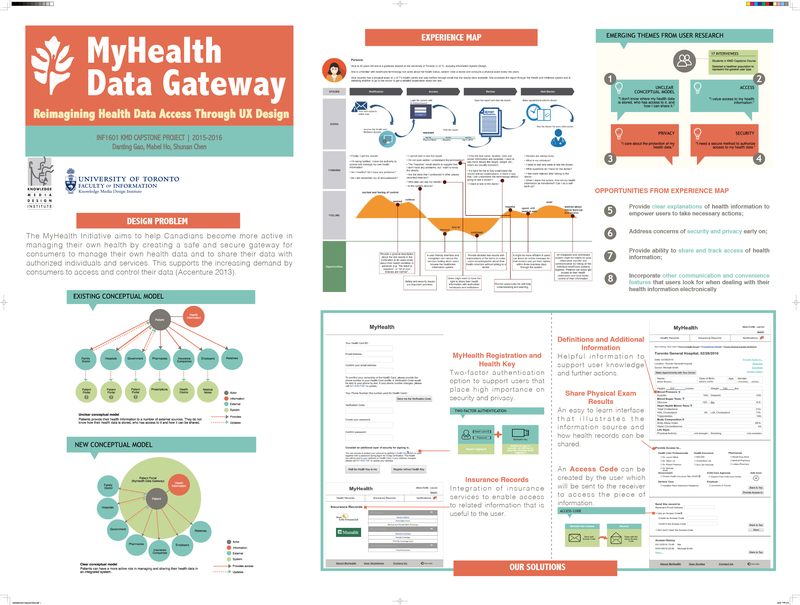 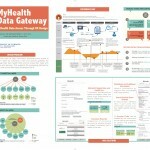 “MyHealth Data Gateway: Reimagining Health Data Access Through UX Design” by Danting Gao, Mabel Ho and Shunan Chen. 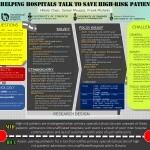 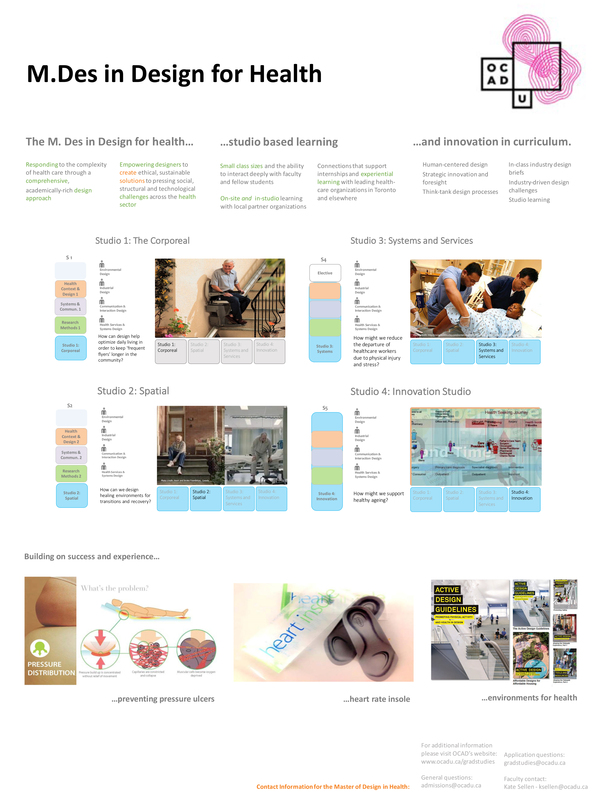 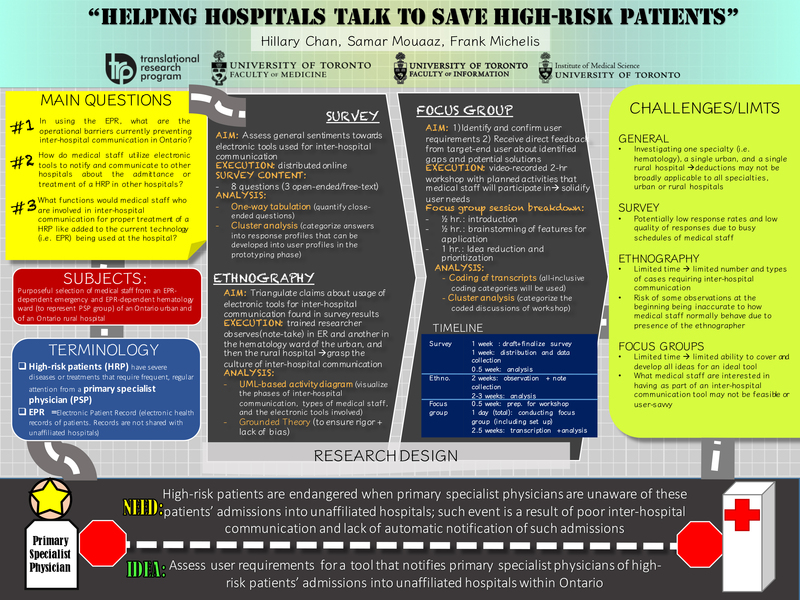 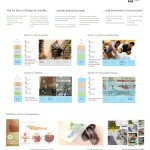 “M.Des in Design for Health” from OCADU. 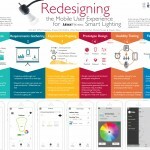 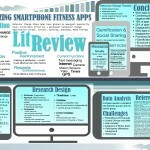 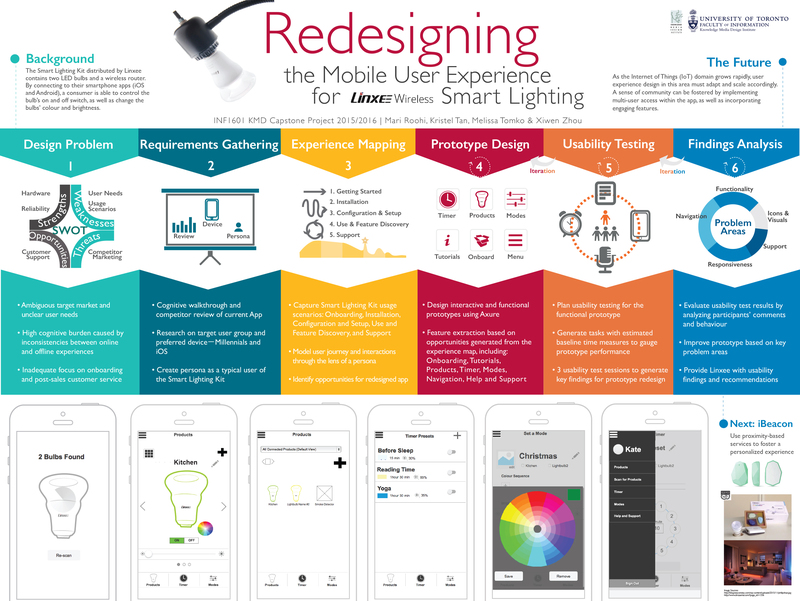 “Redesigning the Mobile User Experience for LiNXE Wireless Smart Lighting” by Mari Roohi, Kristel Tan, Melissa Tomko and Xiwen Zhou. 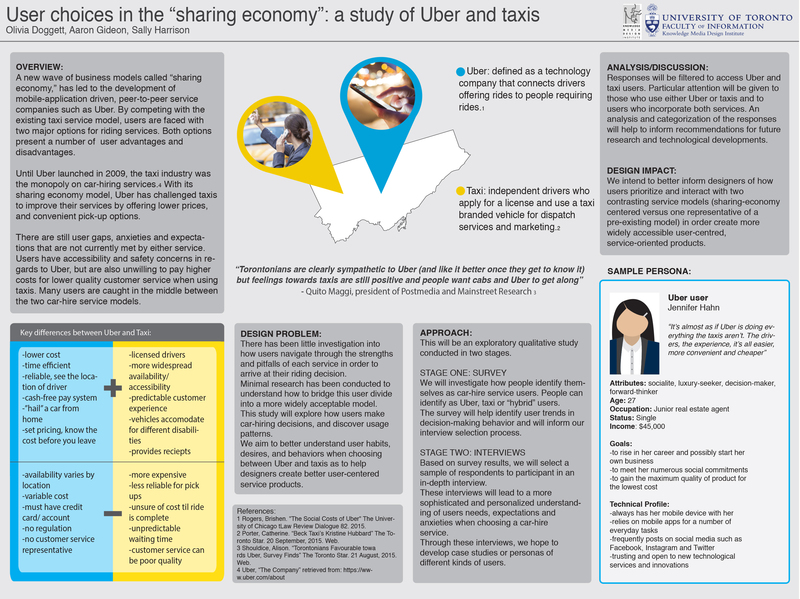 “User choices in the ‘sharing economy’: a study of Uber and taxis” by Olivia Doggett, Aaron Gideon and Sally Harrison. 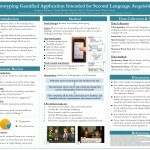 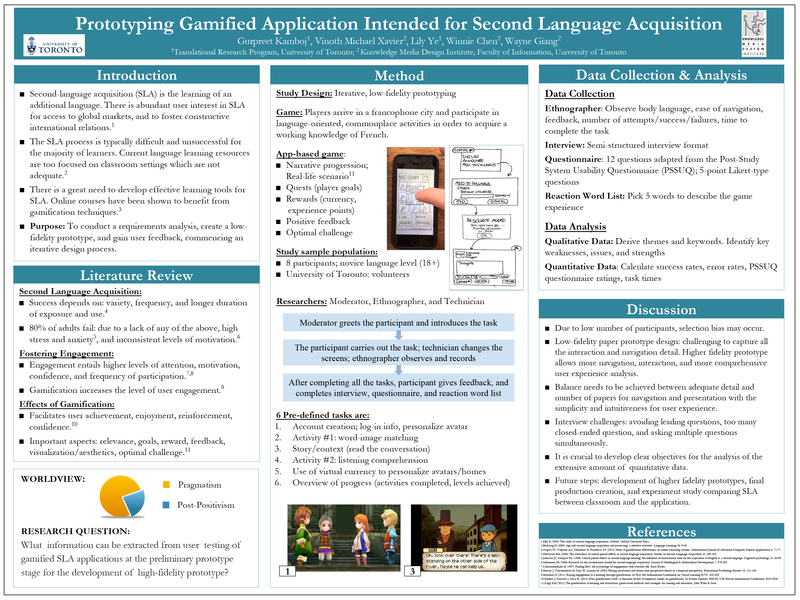 “Prototyping Gamified Application Intended for Second Language Acquisition” by Gurpreet Kamboj, Vinoth Michael Xavier, Lily Ye, Winnie Chen and Wayne Giang. 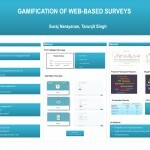 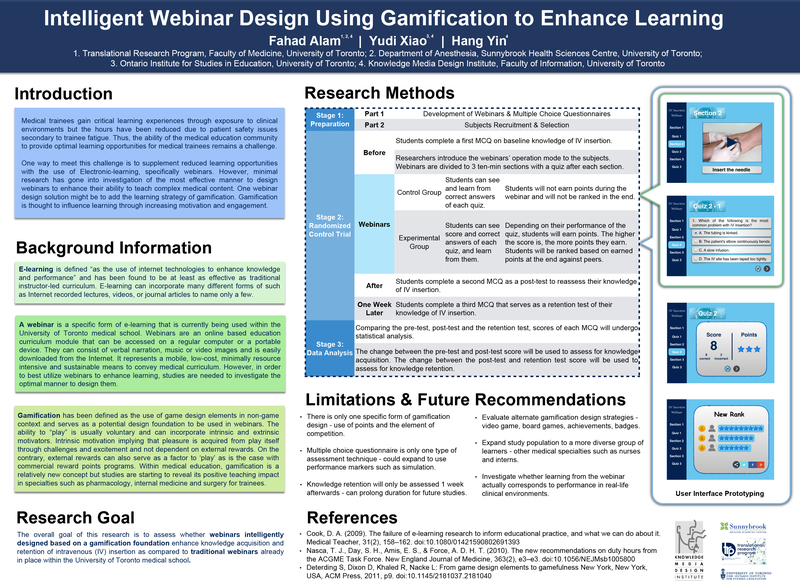 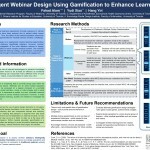 “Intelligent Webinar Design Using Gamification to Enhance Learning” by Fahad Alam, Yudi Xiao and Hang Yin. 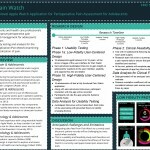 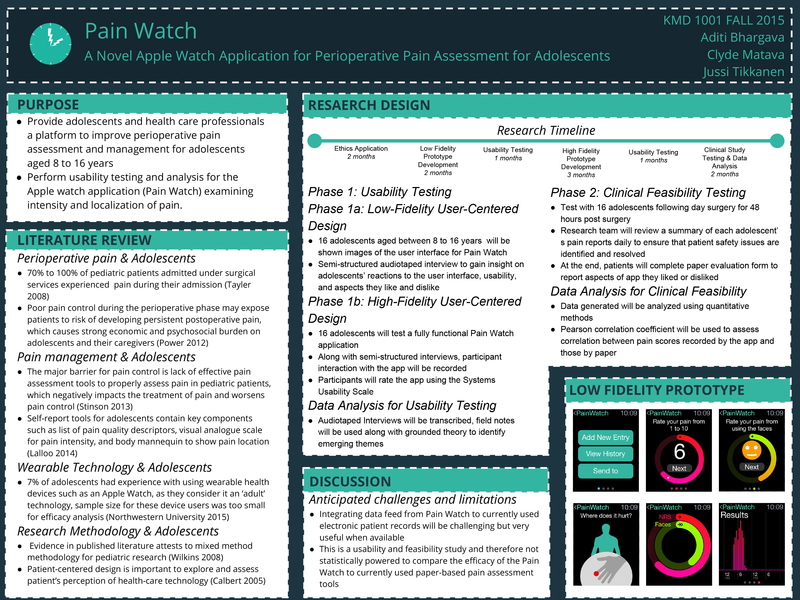 “Pain Watch: A Novel Apple Watch Application for Perioperative Pain Assessment for Adolescents” by Aditi Bhargava, Clyde Matava, Jussi Tikkanen. 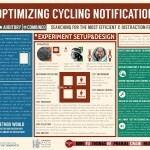 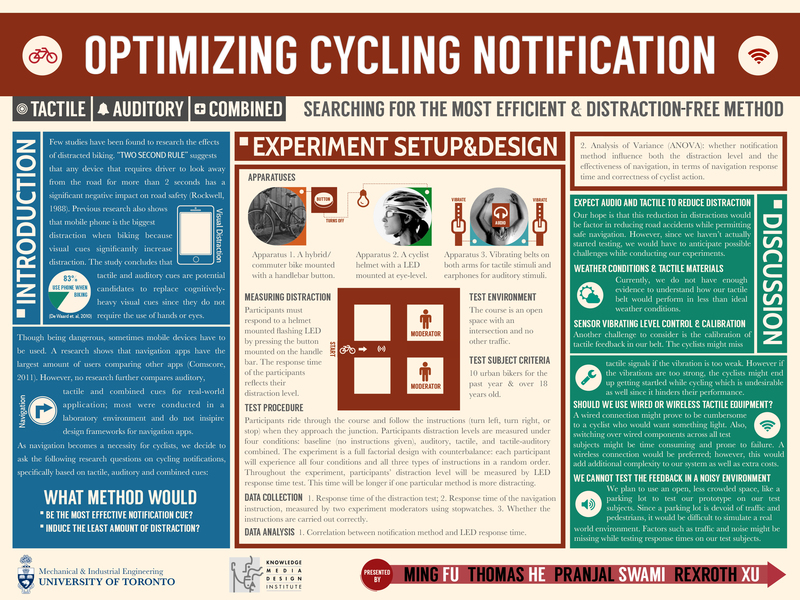 “Optimizing Cycling Notification” by Ming Fu, Thomas He, Pranjal Swami and Rexroth Xu. 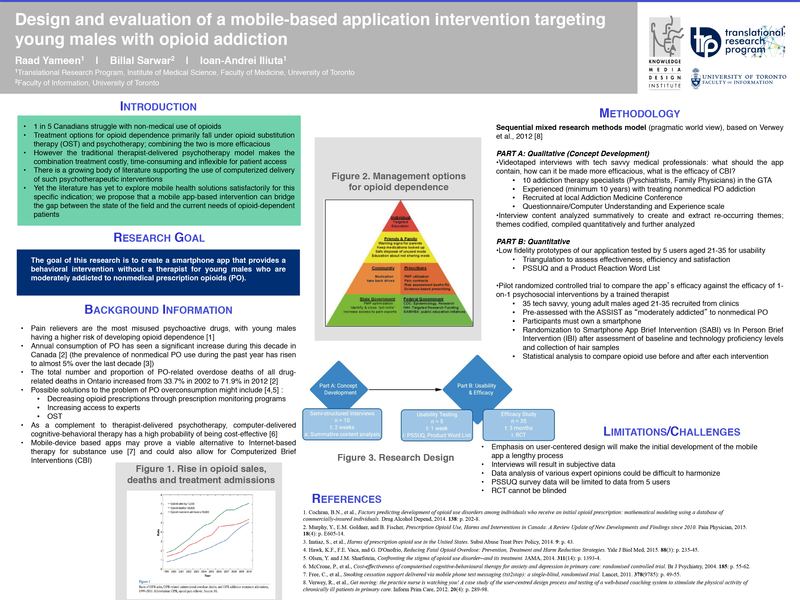 “Design and evaluation of a mobile-based application intervention targeting young males with opioid addiction” by Raad Yameen, Billal Sarwar and Ioan-Andrei Ilitua. 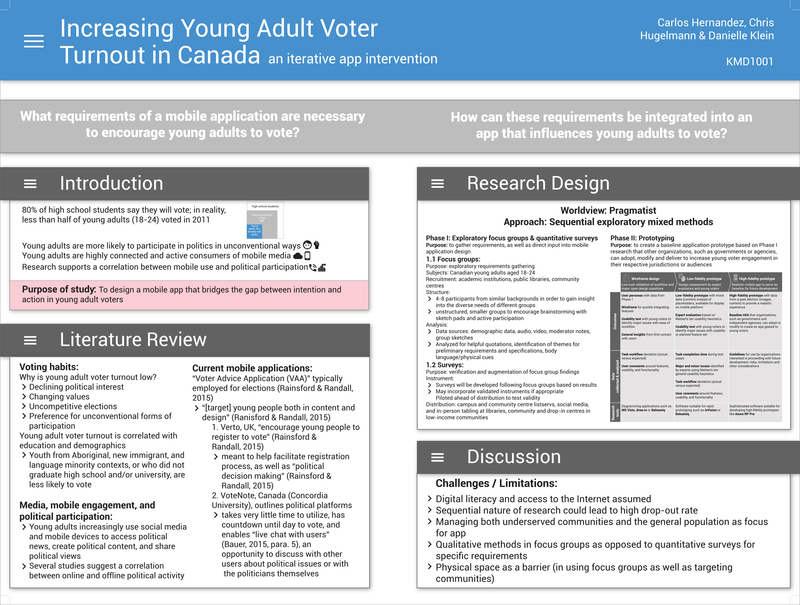 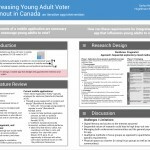 “Increasing Young Adult Voter Turnout in Canada an iterative app intervention” by Carlos Hernandez, Chris Hugelmann and Danielle Klein. 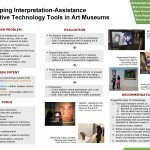 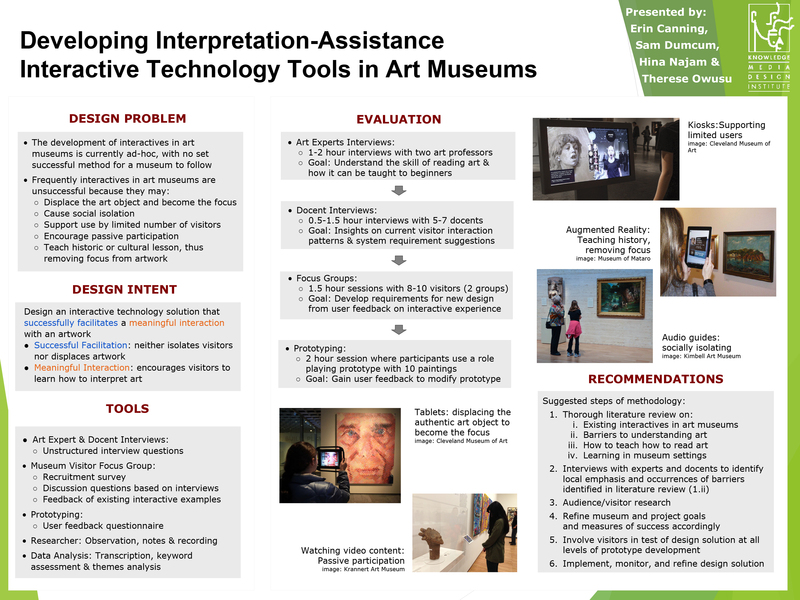 “Developing Interpretation-Assistance Interactive Technology Tools in Art Museums” by Erin Canning, Sam Dumcum, Hina Najam & Therese Owusu. 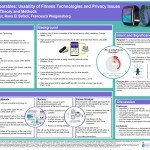 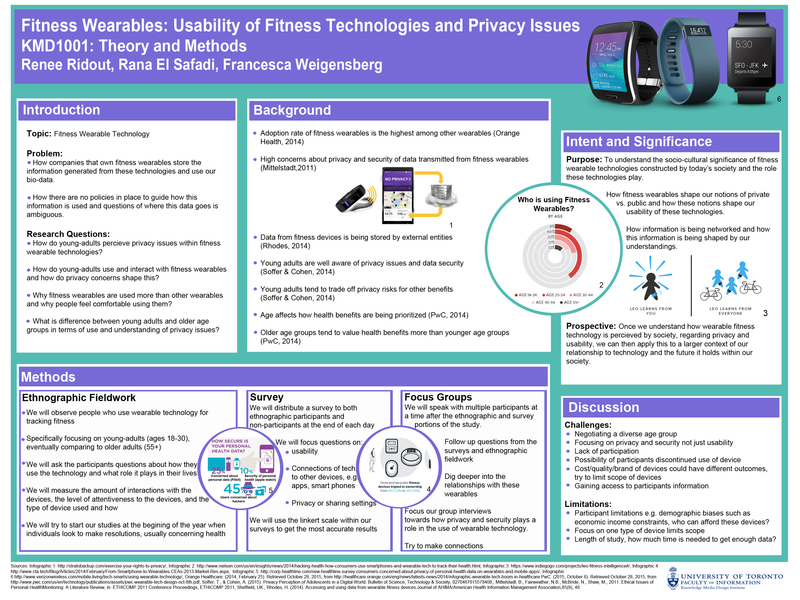 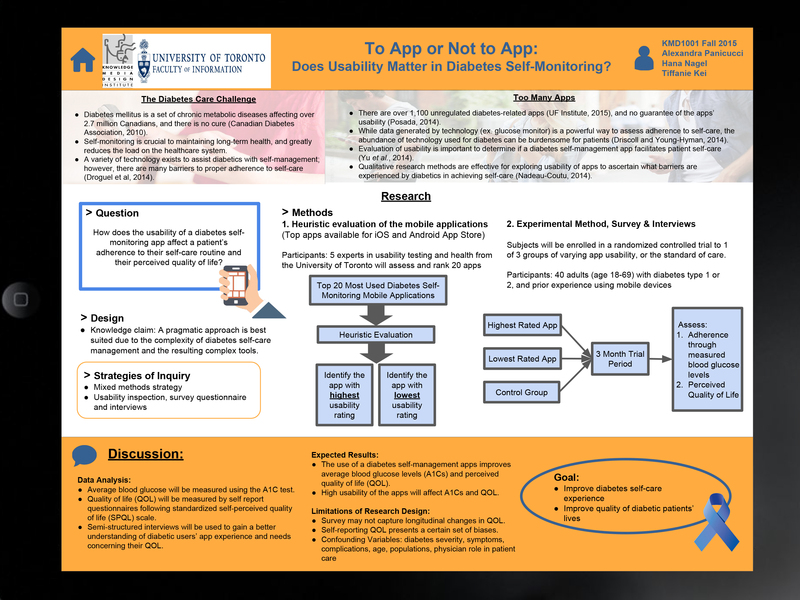 “To App or Not to App: Does Usability Matter in Diabetes Self-Monitoring?” by Alexandra Panicucci, Hana Nagel and Tiffanie Kei. 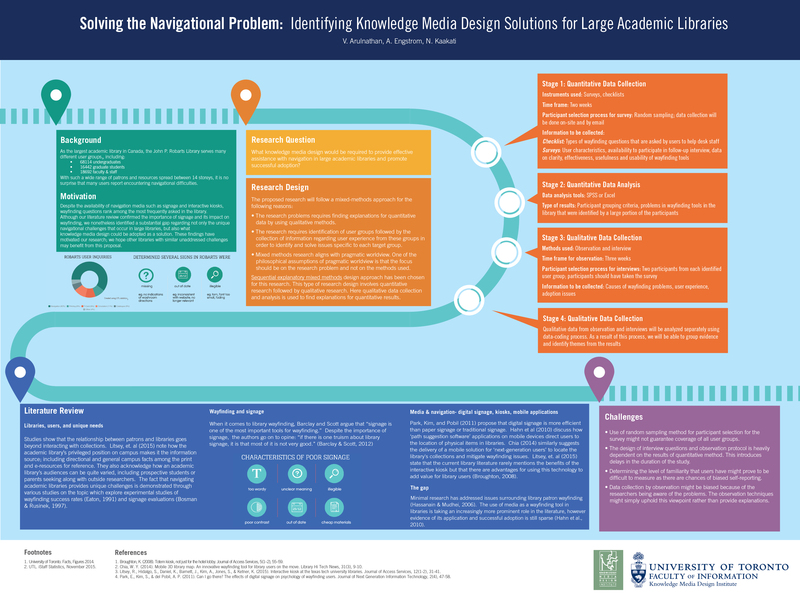 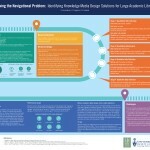 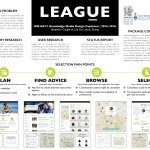 “Solving the Navigational Problem: Identifying Knowledge Media Design Solutions for Large Academic Libraries” by V. Arulnathan, A. Engstrom and N. Kaakati. 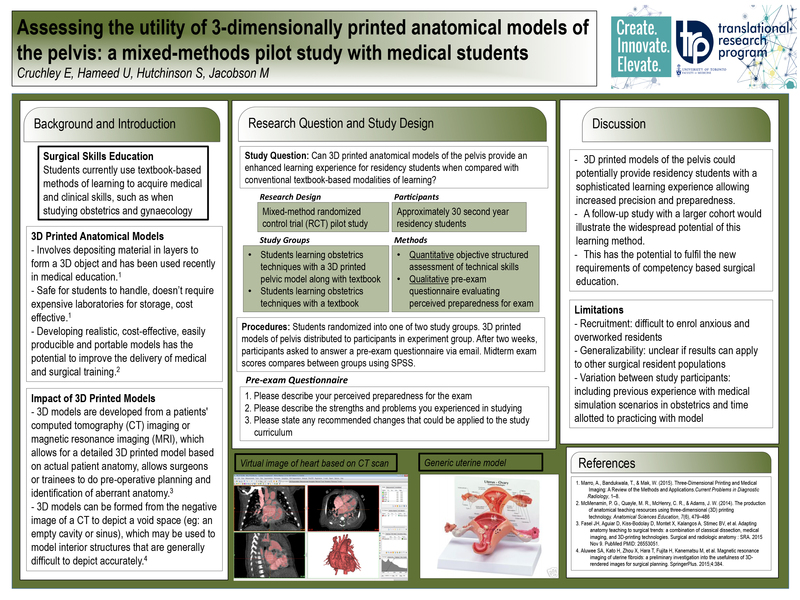 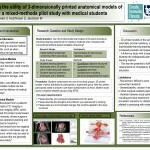 “Assessing the utility of 3-dimensionally printed anatomical models of the pelvis: a mixed-methods pilot study with medical students” by E. Cruchley, U. Hameed, S. Hutchinson and M. Jacobson. 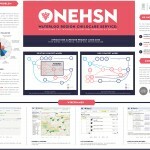 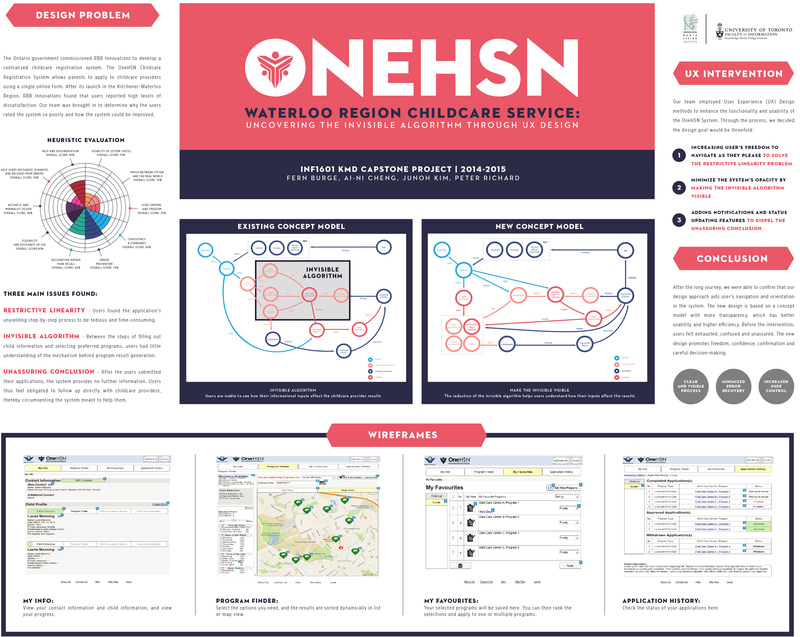 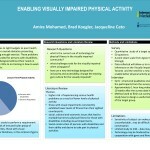 Winning Poster, “ONEHSN Waterloo Region Childcare Service: Uncovering the Invisble Algorithm Through UX Design” by Fern Burge, Al-Ni Cheng, Junoh Kim and Peter Richard. 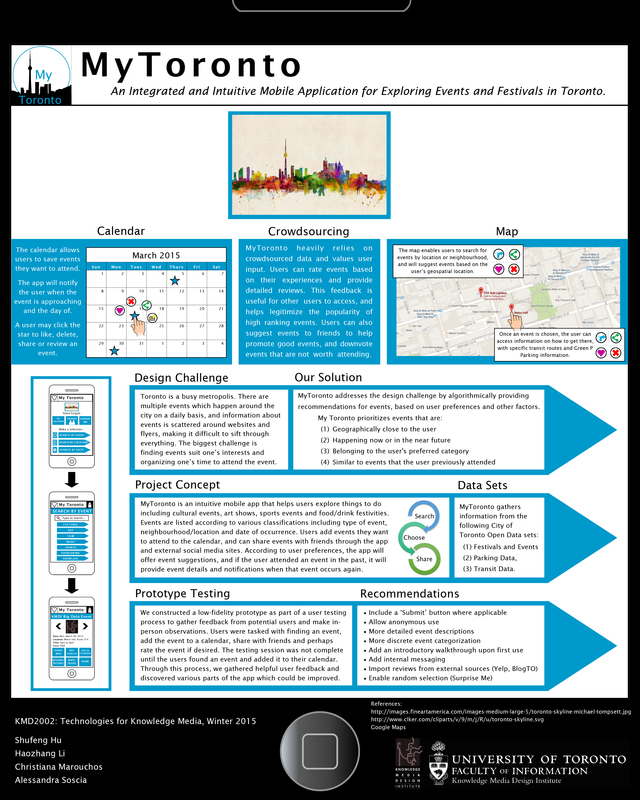 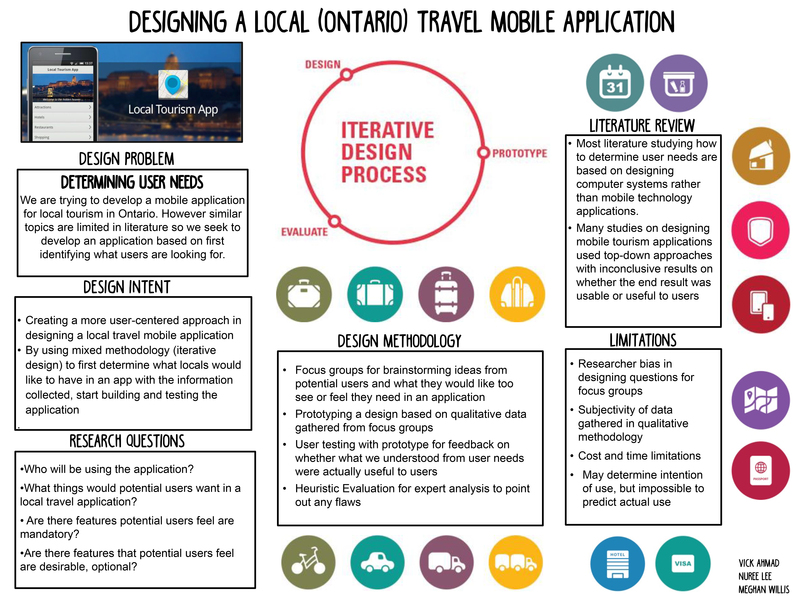 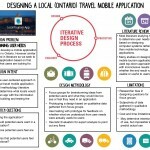 “MyToronto: An Integrated and Intuitive Mobile Application for Exploring Events and Festivals in Toronto” by Shufeng Hu, Haozhang Li, Christiana Marouchos and Alessandra Soscia. 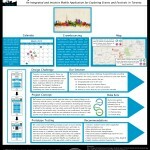 “newtt: An App for Newcomers to Toronto” by Brian Lau, Danting Gao, Keith Macwan and Marzieh (Mari) Roohi. 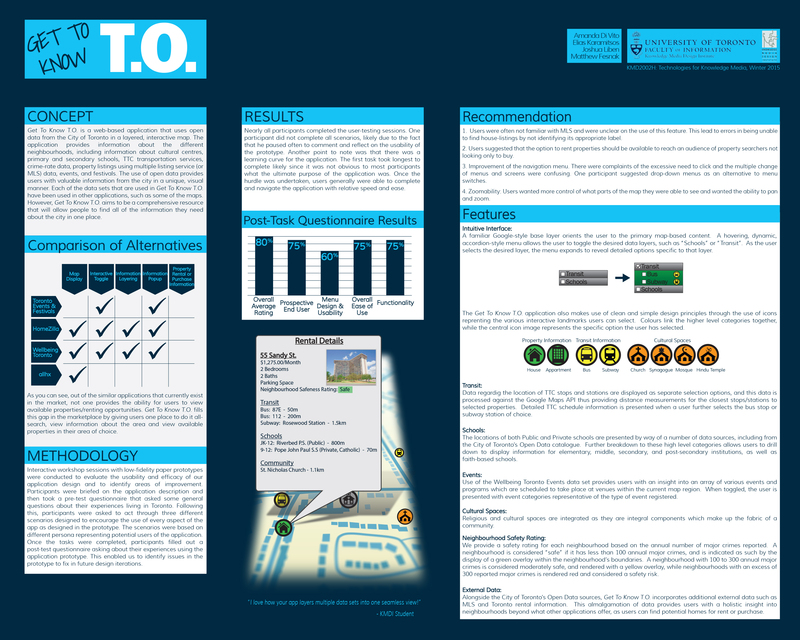 “Get to Know T.O.” BY Amanda Di Vito, Elias Karamitsos, Joshua Liben and Matthew Fesnak. 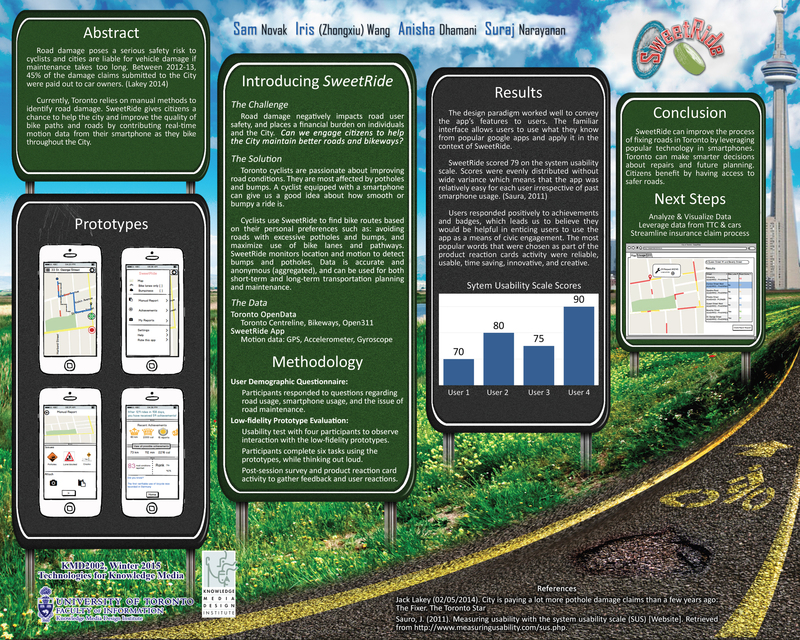 “Introducing SweetRide” by Sam Novak, Iris (Zhongxiu) Wang, Anisha Dhamani and Suraj Narayanan. 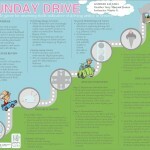 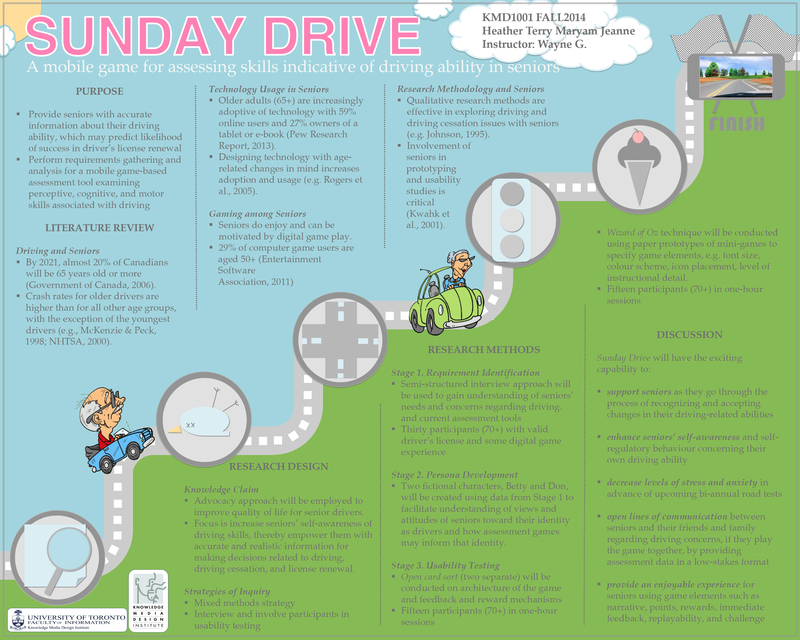 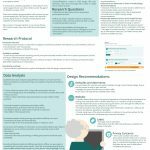 “Sunday Drive: A mobile game for assessing skills indicative of driving ability in seniors” by Heather Terry and Maryam Jeanne. 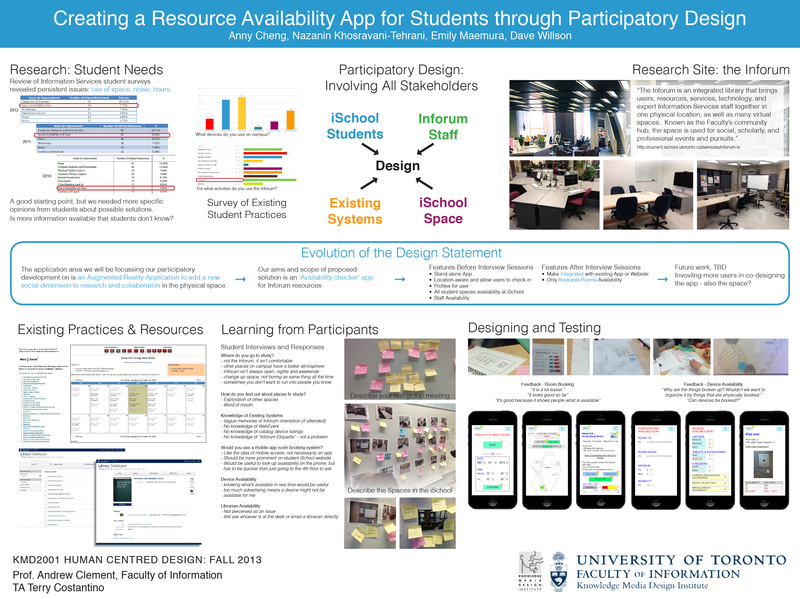 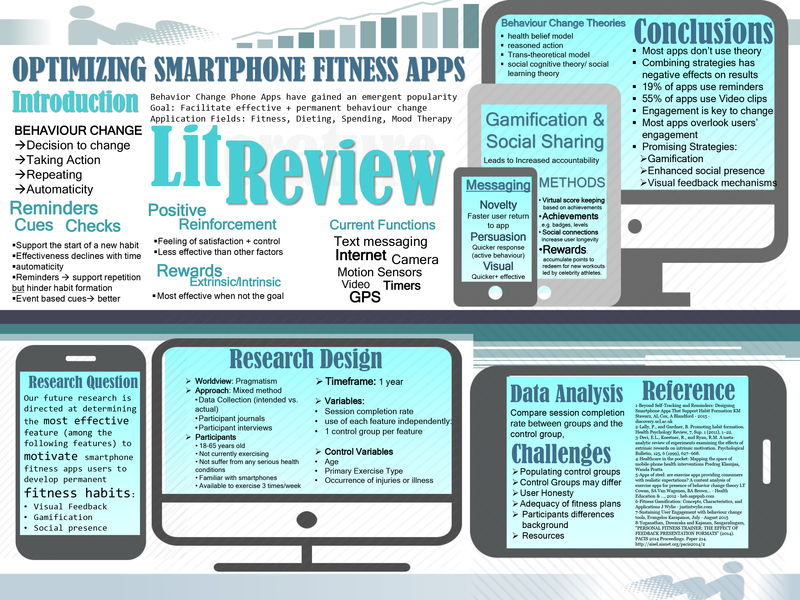 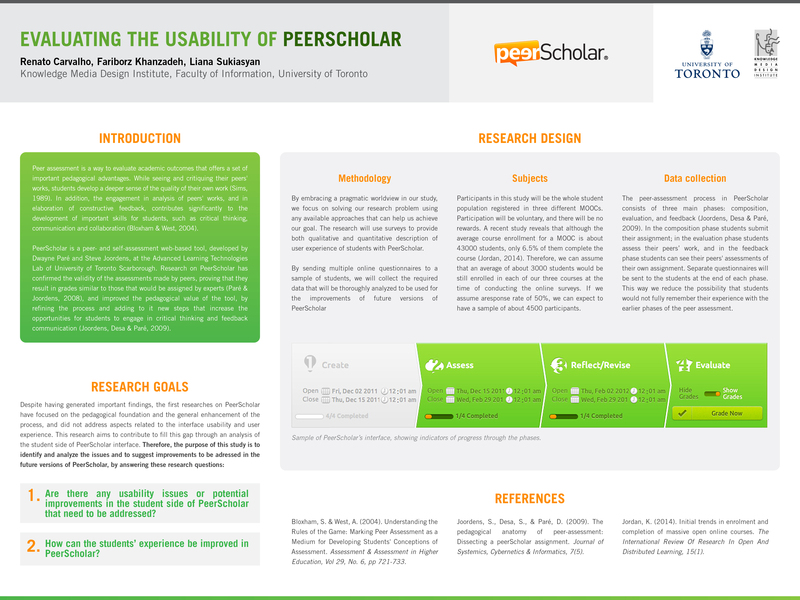 “Creating a Resource Availability App for Students through Participatory Design” by Anny Cheng, Nazanin Khosravani-Tehrani, Emily Maemura and Dave Wilson. 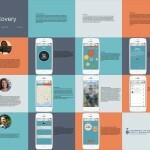 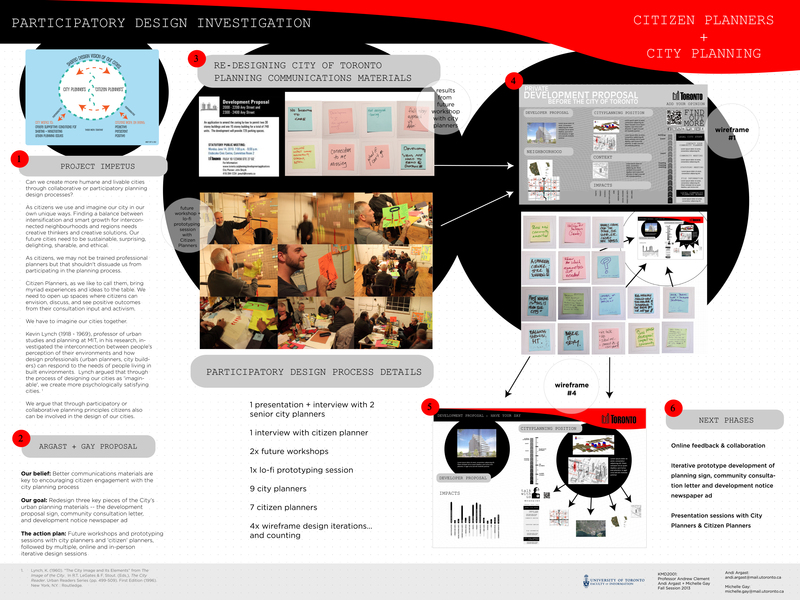 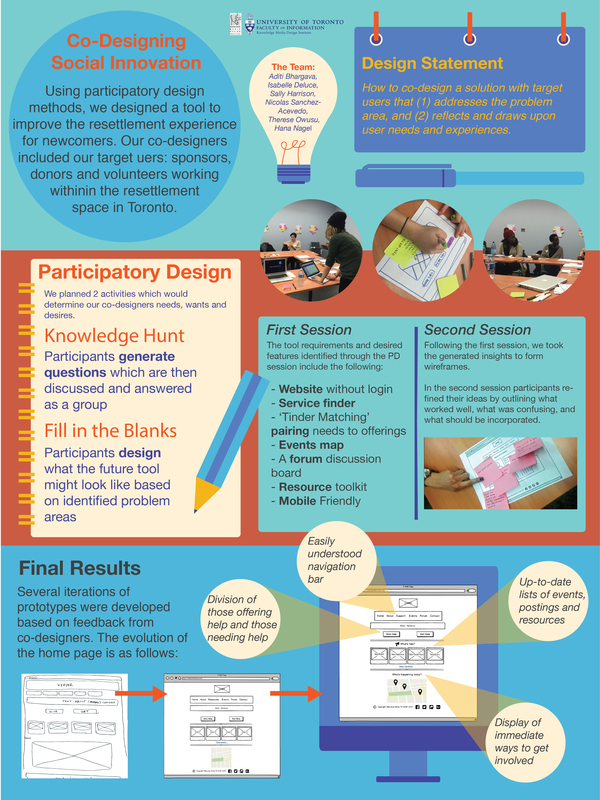 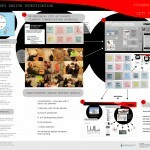 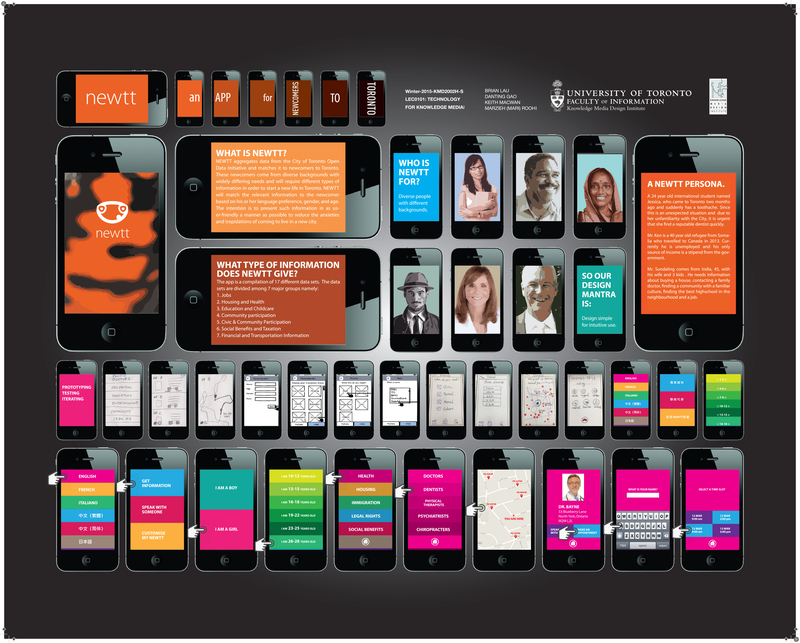 “Participatory Design Investigation” by Andi Argast and Michelle Gay. 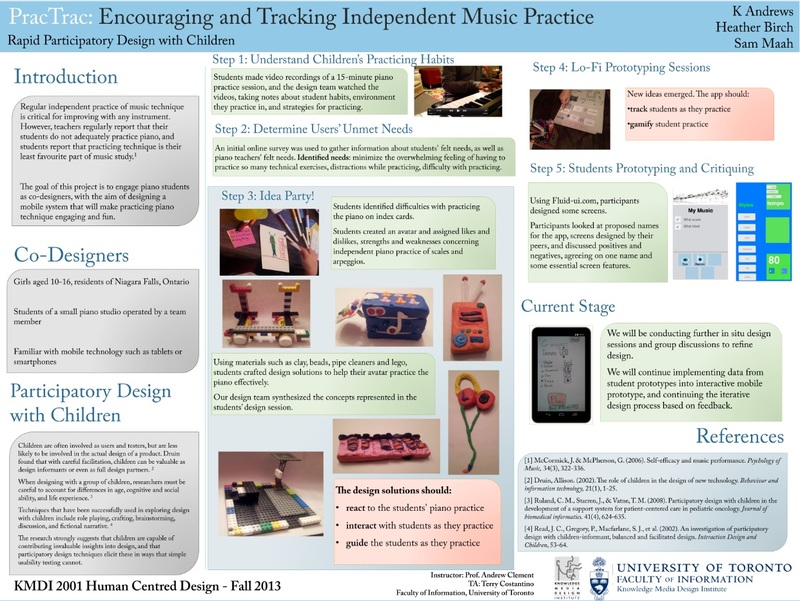 “PracTrac: Encouraging and Tracking Independent Music Practice” by K. Andrews, Heather Birch and Sam Maah.